It can be easy to overlook the roof on your apartment building or rented home: It’s mostly out of sight, so it’s also out of mind. Yet paying attention to your roof and making repairs as needed can prevent roof failure and save you money on costly water damage. We recommend adding roof cleaning and inspection to your seasonal checklists, as well as inspecting after major storms. This way, you will remember to check your roof whenever you perform exterior property maintenance. With roof fall protection in place, climb up on the roof and walk around. Roof protection systems are essential for your safety when doing any roof or gutter work. If the roof feels spongy under your feet, it is in danger of failing. Check roof shingles. If the shingles are turning up at the edges, they are near the end of their natural life. Make roof repair immediately to prevent leaks. 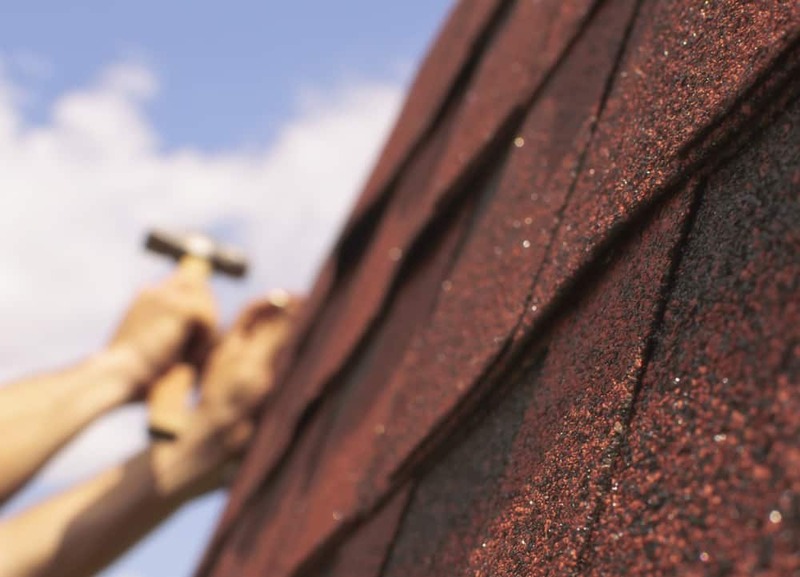 Once missing or broken shingles are replaced, apply roof sealant for weather protection. As you pull leaves out of the gutters, check the trees. Are they close enough to the roof to touch, or to allow an animal to leap from the tree to the roof? If so, cutting back trees can limit property pest problems and increase the life span of your roof. If you have ice dams on the roof during winter, it may mean that the attic is insufficiently insulated. By investing in insulation, you will keep warm air in the attic, instead of escaping onto the roof. This prevents ice dams from forming in the first place. Finally, pay attention to the age of your roof. When you bought the property, the seller’s disclosure should have indicated the roof’s age. By scheduling roof work before the end of its lifetime, you can avoid significant expenses. As a landlord, you want to keep your tenants happy so they remain in the apartment. If the roof leaks, tenant property could be harmed. You could wind up juggling damaged property claims, angry tenants and building repairs. This adds up to significant stress, money and potential legal liability. This may sound like a lot to do, but it should not take more than one hour to inspect your roof or clean your gutters. Do the work yourself, hire a property manager, or hire a roofing professional to inspect your roof for you. It is far better to spend money safeguarding your roof than on emergency repairs because the roof failed. For more apartment repair tips, sign up for our newsletter or join American Apartment Owners Association today.